UE #51 coating was developed in 1967 especially for corrugated galvanized reservoir and stock tanks. It should be used on all thin metal tanks or equipment. UE #51 is a flexible coating that can allow metal to bend or stretch to a certain extent without breaking the film. It cannot stretch the 1000% that is possible with Urethane #12 elastomer coating. Should a thin gauge galvanized corrugated tank be coated with Tank Coat (epoxy) and the tank be empty in the sun’s heat, the corrugations will expand and cause the very rigid and hard epoxy to crack. The UE #51 was developed to allow the corrugations to contract and expand without the coating failure by cracking. A ribbon of this metal coated with UE #51 can be wrapped around a small nail without danger of breaking the coating. The UE #51 can be used on the heavy plate steel. It is supplied only with a special primer. Large quantities are supplied to ranchers, farmers, industry for protecting all kinds of equipment, feedlots with their feed processing equipment as well as the machinery used for cleaning and hauling manure, and all watering systems for stock. A thin gauge tank can have many holes or leaks. These are quickly and easily stopped with the Tank Coat (epoxy) paste and immediately covered with the protective coating of UE #51. This is the complete repair and protection system common to galvanized corrugated drinking tanks and water reservoirs known as “overhead tanks.” 95% of the time only one thick coat is needed. Extreme conditions may require two coats. UE #51 is very chemical resistant with a special primer for the purpose it is designed for containing liquid feeds that contain acids such as phosphoric and acetic. The UE #51 is rated high in abrasion resistance and is used where materials have to cause an erosion of a coating or the base material. The urethanes in other formulations are well known to be the longest life coating and finish for gymnasium floors where there is much harsh traffic. The kit contains the primer supplied in two containers. These are mixed together and brushed very thin onto the surfaces. The primer cures from one hour for metal to six hours for non-metal surfaces. The UE #51 is a two-part material gray in color. It is brushed much the same as house paint. After eight to twenty-four hours, depending on temperature, the second coat is applied. Coating is ready to use when it cannot be moved with a nail. Each kit of UE #51 includes a special thinner cleaner for washing and cleaning brushes between and after coats. 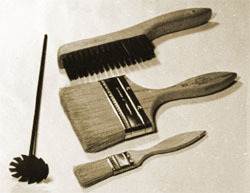 Otherwise, the brush will not be usable again. This particular cleaner is not available except in large cities and on large orders. The UE #51 requires no thinning. The UE #51, as well as the primer system, is toxic to breathing. This is not poisonous and the fumes or vapors will not be noticeable when coating drinking tubs or machinery. The vapors are easily carried away in outside applications. When a reservoir or other tank is to be coated on the inside and there is only a manhole opening, it is necessary that the person making the application inside be equipped with a mask or hood that has a 114″ air hose going to the outside to an air compressor with at least six (6) cubic feet per minute displacement. This is a common paint compressor equipment or larger. The outside air is forced into the hood and it rushes out of the hood through the opening for the eyes and nose. There is no glass on this type of a vapor mask. In this manner, the person brushing the coating can stay in the vessel as long as necessary. He will not be able to inhale the vapors. The vapors will not harm the skin or the eyes. It is important that this precaution and protection be taken because without the outside air the vapors will become denser which greatly reduces the oxygen available and the person in the vessel will become drunk and then weary and tired. Should he continue to stay in this environment, he will be overcome. After all these many years of supplying thousands of gallons of UE #51, there has never been a fatality. Many large vessels have been lined but the operator has just used common sense. Definitely, two (2) men should always be involved in closed vessel lining. 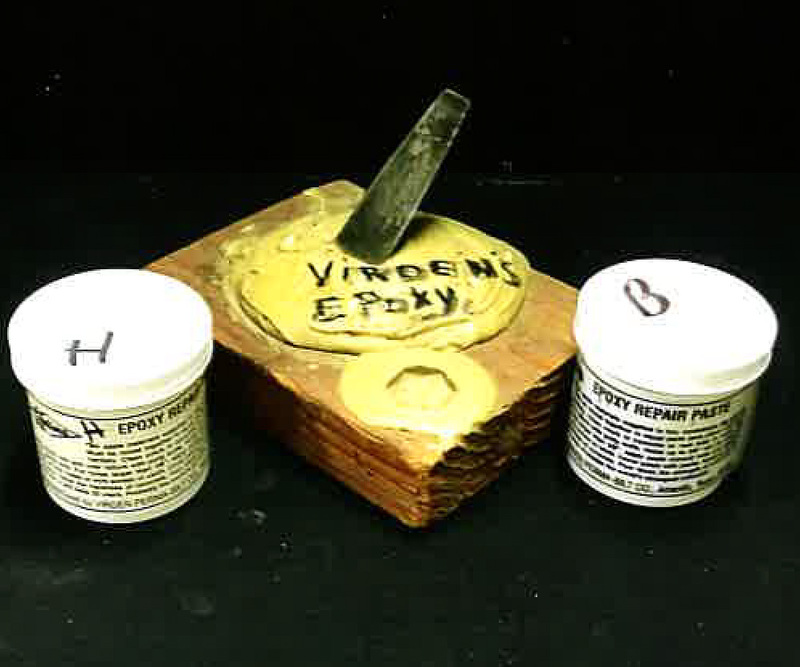 The vapors from UE #51 are no different from other paint thinners. All must be used with caution. Do not smoke or use near open flames. The vapors and coating are flammable. Tank Coating (UE #51) after curing will never contaminate drinking water. It cannot cause taste or odor. It is ideally suited for lining fish containers. Tank Coat (UE #51) being very abrasive resistant is recommended to be placed as the second coat over the elastomeric UE #12 where the rubber-like UE #12 has been used for cracks in concrete floors or roofs. The two were developed for each other. UE #51 always used with the proper primer coats protects air conditioners. Farm and ranch feeding equipment that involves the use of salt to livestock is protected from further rusting. New self-feeders, as well as new tanks, are coated before ever placing in service. Cattle hauling trailers employ UE #51 because of the highly corrosive livestock waste. Irrigation pipe of aluminum is repaired with the epoxy paste and covered with UE #51 to prevent deterioration of aluminum pipe laying on wet ground. All lap joints and nail holes in steel roofing are often covered with our UE #12 elastomer coating that will stretch 1000% and is over 2000 P.S.I, tensile strength. Then to have an attractive building the entire roof is painted or coated with the UE #51. This is the only known steel roof repair that will never allow cracks to open and allow leaks. The urethane coatings have that unusual ability of no degradation when exposed to the ultra-violet rays of the sun. These rays affect other coatings to shorten life.